For more than thirty years, Ron has represented clients in the public and private sectors with respect to environmental law matters and related policy issues. During that time, he has worked with and for members of Congress, State legislatures, industry trade associations, and public commissions and departments in an effort to develop and implement reasonable policies and solutions to various issues, both individual and general in nature, related to environmental regulation and real estate development. Ron’s practice concentrates in the areas of Environmental and Administrative law. He counsels and represents clients on a wide variety of environmental permitting, compliance and regulatory enforcement matters and on environmental due diligence aspects of real estate and brownfield transactions including brownfield tax abatements. He has represented a wide range of clients, large and small, public and private, with particularized needs including industrial recruitment, site selection, construction on greenfield and brownfield sites, expansions and transfers as well as ongoing compliance requirements and response to enforcement actions. Ron recently served on an advisory panel, appointed by Alabama’s Governor, focusing on Riparian Rights and other legal issues in the state. The panel advised the Governor and the Alabama Water Agencies Working Group on issues related to the development of a water management plan for the State. 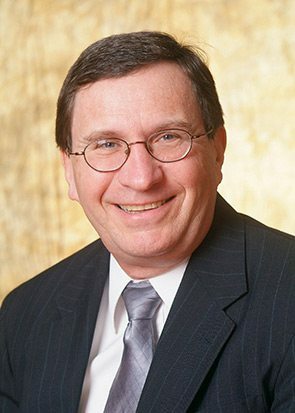 Ron is a contributing author to the firm’s Environmental Law Matters Blog providing news and tips to clients on environmental matters. Prior to joining the firm in 1997, Ron practiced for twelve years with the Office of General Counsel of the Alabama Department of Environmental Management, where he held the positions of Associate General Counsel and Assistant Attorney General. His duties included representing the Department in a variety of legal matters, particularly those involving hazardous and solid waste management and wastewater regulation. While in law school, Ron was on Mercer’s Championship Moot Court Team and was selected to the National Order of the Barristers. Prior to entering law school, Ron served as a legislative aide to the Honorable Elliott H. Levitas, a Member of Congress from Georgia’s Fourth District.